Christians in Hesekê Canton have celebrated Christmas on Monday. 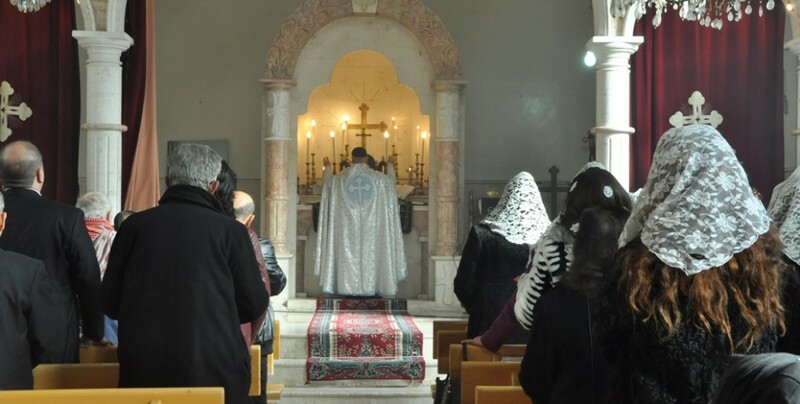 Assyrians and Syriacs in Hesekê Canton’s Til Temir, Serêkaniyê and Hesekê cities have rushed to churches to welcome Christmas Monday morning. The ceremony in Kedisaye Church in Til Temir was attended by Christian civilians in addition to representatives from TEV-DEM (Movement for a Democratic Society), Democratic Assyrian Party and YPG (People’s Defense Units). 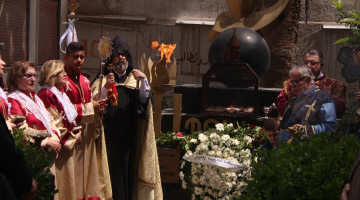 Another ceremony was held in Mor Toma Church in Serêkaniyê. During the church service, Priest Mihail prayed for all the military forces fighting in Rojava and said; “I hope the Christian citizens that migrated out of Rojava will return home”. 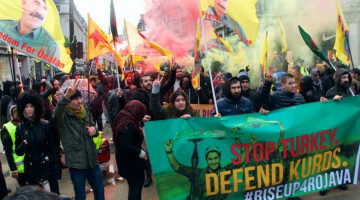 He asked the youth to support Rojava’s military forces that are waging a battle against the gangs. The ceremony ended with a celebration and presentation of gifts.